Through a partnership, the Westport Farmers Market now offers home delivery of fresh local produce like this, plus meats, baked goods and other foods. Want fresh vegetables or herbs? Or maybe maple syrup, cheese or a fresh-baked cake or pie? Problem is that you don't have time to make it to the Westport Farmers' Market each Thursday to shop for such healthy and tasty fare. Offering a solution for this dilemma is a new collaborative between the farm market and Stamford-based Fresh Nation, which will provide online shopping and home delivery of goods hand-selected by a personal shopper at the market The items selected will be delivered the same day, according to organizers of the initiative. "We are committed to bringing the freshest and best foods from the Westport Farmers Market to all members of our community," said Lori Cochran, the market executive director. "With our partnership with Fresh Nation, market vendors are now able to sell online their fresh produce and food products to consumers who don't always have the time to come to the market and shop," she added. "We are thrilled to work with Fresh Nation and offer this new and exciting service to Fairfield County residents." Fresh Nation, founded in 2012, has about 15 vendors from the Westport market and more than 60 vendors from other farm markets in Fairfield County, according to Carolyn Guss, company spokeswoman. "Fresh Nation is the only company that is delivering farm-fresh food directly from farmers markets -- in the area, and nationally in fact," she said. "Other fresh food delivery companies often go to the farm but not to the market," Guss added. "This is a growing trend in farmers markets because there are people who can't make it to market for whatever reason, but really love fresh local food." She said it's a way of getting more people to buy from farmers markets. "What's interesting is that it's not the people who shop at farmers markets who use Fresh Nation, it's the people that don't shop there but love them and wish they could make it," she said. Guss said the company delivers to most towns in Fairfield County. A Fresh Nation website asks customers to enter their zip codes to find out if the area where deliveries are made. "Because we purchase in bulk from the farmers market vendors we are able to get wholesale prices," she said. "We then work hard to ensure the prices on our site are the same as market prices." Under its partnership with Westport Farmers Market, Fresh Nation's prices are the same as those charged at the Imperial Avenue market. Guss said the company employs trained food shoppers to go the markets and fill customers' online orders. Customers can select items by food type or can see the offerings of specific vendors they know. "After receiving orders from Fairfield County residents for Thursday's delivery, Fresh Nation fills these orders at the Westport Farmers Market and drives them directly to customers' homes," she said. She said the company covers the cost of personal shoppers and there is no fee for customers to join the service. She said there is also no charge for vendors to join and no contracts to sign. "We provide a lot of support in getting them set up on the Fresh Nation online market place," she added. The WFM is providing direct access to its online store at Fresh Nation through the market's web site at www.westportfarmersmarket.com. A listing of current offerings on the Fresh Nation website finds a variety of meats, like Delmonico and rib eye steaks priced at $25 a pound, split chicken breasts and chicken sausage at $12 per pound, and lamb ribs or lamb shoulder chops at $15 per pound. Vegetables include curly organic kale at $3.50 per bunch and organic scallions at $3 per bunch. There also are baked goods including a variety of cupcakes, some at $17 and others at $13.50 per package, a $7 apple crumb pie and golden Aztec corn bread at $7 per item. Cheese, like aged feta, costs $10 per half pound and free range eggs costing $6 per dozen. "We are excited to work with Westport Farmers Market as together we connect farmers and foodmakers with consumers who love to eat fresh, locally grown food," said Antony Lee, CEO and founder of Fresh Nation. "As consumers become more aware about what they eat and where their food comes from, neighborhood farmers markets are an important and trusted resource where people can buy the best quality foods," Lee said. "Unfortunately, many do not have time to go to their farmers market, but by partnering with the Westport Farmers Market and bringing market vendors online, Fresh Nation is ensuring that consumers can still buy directly from their local farmers and food artisans." 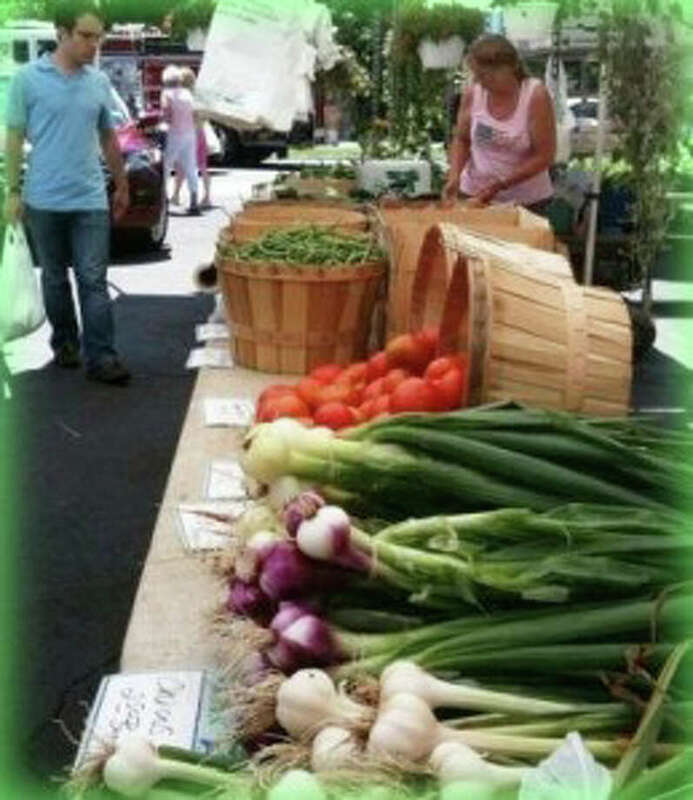 The Westport Farmers Market, a non-profit organization, is open each Thursday from 10 a.m. to 2 p.m. from now through Nov. 6 at 50 Imperial Ave.
For more information on the Westport Farmers Market, visit www.westportfarmersmarket.com or email director@westportfarmersmarket.com.